Rhubarb is an interesting fruit or vegetable depending on where you are from. Here in New York State rhubarb was declared a fruit by court order in 1947 because tariffs were lower on fruits. New York State is weird that way, we have a similar legal declaration about tomatoes being a vegetable??? Sunday: Mini Man Burger, Grilled Corn, Tomato Salad, Watermelon. I'd LOVE to try rhubarb! I'm soooooooooo curious, but it's impossible to get it here. I'm not sure you can send a fresh vegetable. We have a lot of restrictions on that sorry Winnie. Oh I LOVE rhubarb! I recently discovered a fabulous recipe for raspberry rhubarb crumble that will be appearing on my blog soon! 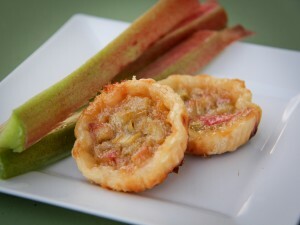 I love rhubarb, thanks for all of the great ideas! You are very welcome Sheena... I hope many people check it out. Yay! I just purchased some rhubarb at the farmers market on Saturday and am dying to add it to my salad! 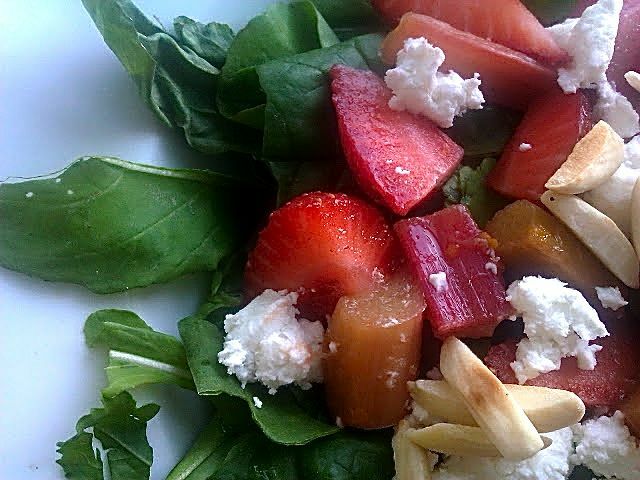 It is great poached for a salad... have fun with the recipes. These all look sooooooooooooooooo good! Getting ready to harvest a bunch of rhubarb this week. Thanks! Visiting from The Chicken Chick. How wonderful... you are just the person I was hoping to get these recipes too. Enjoy. Enjoy the scones... this my first year cooking with it too. Thanks for featuring my Grilled Salmon Diane! What a wonderful surprise. Have a great week! You are very welcome... I'm finding rhubarb to be a very intriguing vegetable. It is so great to hear about other rhubarb enthusiasts. Got you on twitter thanks for the follow. 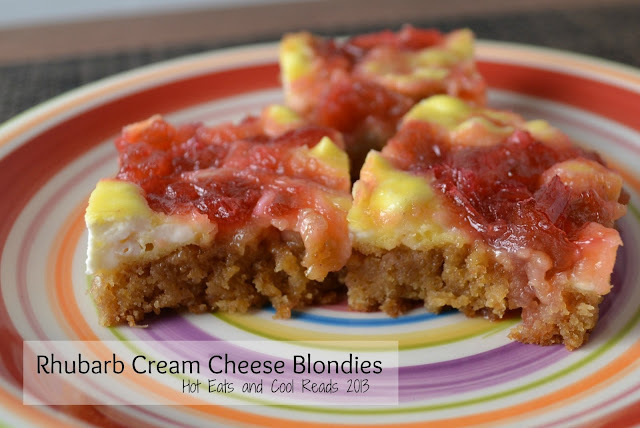 We love all of the rhubarb recipes! Thanks! Oh how I LOVE rhubarb! Thanks for this lineup of wonderful looking recipes! You are very welcome MJ what do you bake with rhubarb? Thanks for featuring my recipe! All of the rhubarb recipes look amazing! Just the other day, my (grown) son and I were at the grocery, and he pointed to rhubarb. "What's THAT?" he asked. I've always been afraid to cook it, and now you've helped me find my way to some great recipes. Thanks so much for including them at FF! I had the same fear... so glad to help. I didn't realize it could be used in so many savory dishes. Thanks so much for the invitation. Thanks for the inspiration! Def have to try the salsa and other unique recipes. 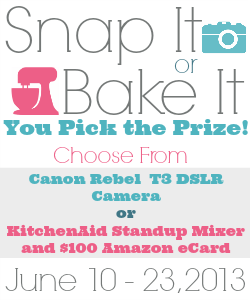 Please share your great creations and our Tuesday BeBetsy Brag About It party!